David Thomas Peyton was born May 5th, 1942 in Vicksburg, Mississippi. He died January 23rd, 2019 after a long illness. He was 76 years old. He was also the youngest child in a family of five siblings. His father, Sam Hamblin Peyton (87), and his mother, Myrtle Mae Peyton (68) are buried together in Cleveland, Mississippi. His brother Howard Ray Peyton (68) was cremated and sprinkled over the graves of his parents. His sister, Jimmie LaVerne Shannon (75) is buried in Trussville, Alabama. His brother, W.E. (Dub) Peyton (64) is buried in Oklahoma City, Oklahoma and Richard L. Peyton (68) is buried in Houston, Texas. 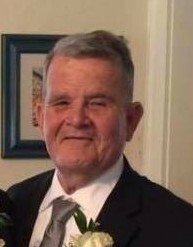 David was the husband, partner, and soulmate of Karl Brown of Saraland, Alabama. They have been married for almost 3 years, but have had many wonderful memories in their relationship beyond that time. David leaves behind many family members, cousins, nieces and nephews. But the jewels of David’s life were his children David Wade (Bo) Peyton of Dallas, Texas and Shana Peyton Blakely of Senatobia, Mississippi. The blessings of his life continued through his granddaughter, Kimber Estridge also of Senatobia, Mississippi and his great-grandchildren, Blakeleigh and Ryder Estridge. He has given much inspiration and joy to many people in his life and has been active in numerous organizations. A Celebration of Life Memorial Service will be held Saturday, March 2, 2019 in the Cleveland Funeral Home Chapel. The family will receive friends from 10:00 AM till Service at 11:00 AM.